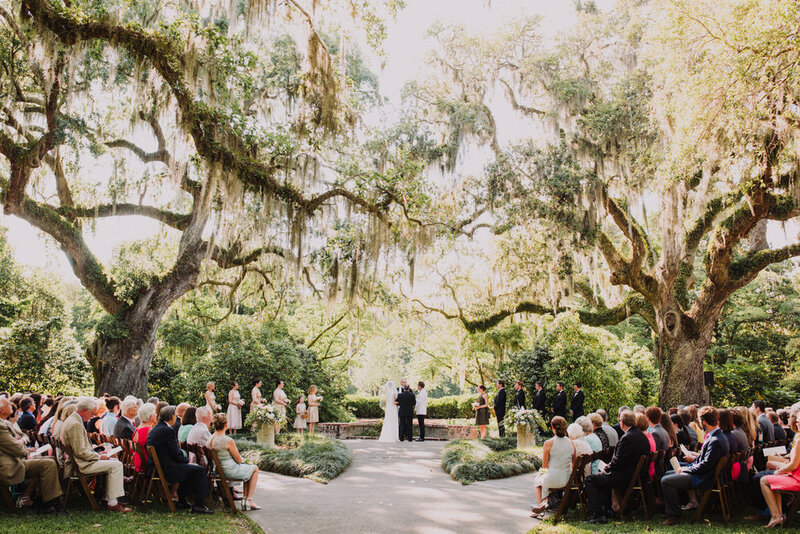 Haley and Matt had their wedding at Brookgreen Gardens in Murrells Inlet South Carolina. No matter how many times I see Live Oak trees with Spanish Moss the novelty hasn't worn off. They also had perhaps the best band I've seen at a wedding. "We can’t say enough positive things about Riley and our experience working with him for our wedding photos and the photo sessions (engagement tintypes and bridal portraits) leading up to the big day. Riley is a thoughtful and creative photographer who is grounded in classical techniques with an amazing edge. He delivered a great mix of photos, very promptly and efficiently, and also provided image files and printing rights as a part of his wedding package, which some photographers don't always offer. Riley’s warm and personable nature, and the fact that he got to know us prior to the wedding, made us (and our friends and family) feel so relaxed and comfortable on such an emotionally charged day! Throughout the entire process, he was very responsive and listened to our requests, questions and concerns. His photos truly captured the emotions, sentiments and special moments surrounding our wedding. His second photographer for the wedding, Annemie, was also great and really complemented his work. My husband and I often say how lucky we were to have found Riley, and we highly recommend him to anyone who is looking for a spirited, talented and creative wedding photographer (and friend). He won’t disappoint!"